*Rain* Hoop Earrings~ Citrine By the Stones — From Citrine By The Stones, one of the most coveted pieces in the Citrine classics collection, these are currently adorning many an A-lister's lobes. They add a chic edge to casual outfits and are the perfect addition to a black evening dress for a sultry look. They sparkle and the fringe moves gracefully to draw the observer's eye back and forth across your face...which is the purpose of earrings, is it not? 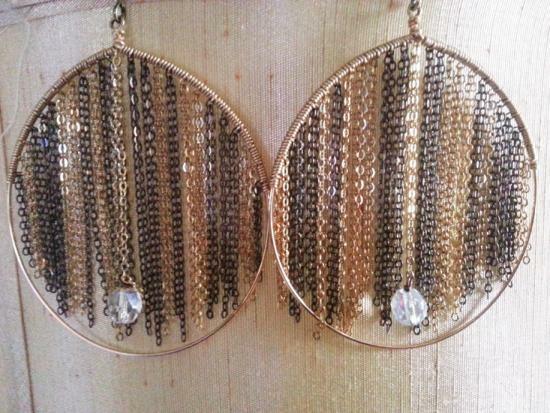 Earrings measure approximately 3 inches / 8 cms in length....very dramatic and beautiful!